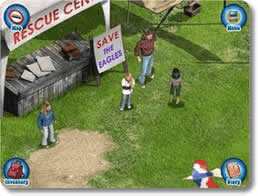 American Girl - Julie Saves the Eagles Game Review - Download and Play Free Version! Conservation theme: save the environment and its endangered species. Realistic, but not groundbreaking graphics. Mini-games can be played endless times which does increase re-playability. Almost no direction in the opening scenes which can make it very difficult to get started. Too straight forward, an easy completion. A good game for any American Girl doll fan! Julie Albright is a fun-loving girl growing up in San Francisco in the 1970s. Julie faces big changes in her life, like overcoming her parent's divorce and having to move to a new neighborhood. Julie soon comes into contact with a wildlife rescue sanctuary and decides to help them save a family of endangered bald eagles. You will help her raise money for the effort by adventuring around the city and talking to people and completing quests. In this point and click adventure, Julie will come into contact with people that don't necessarily agree with her goals. Julie responds thoughtfully that she cares both about people's needs and the good of the environment. Young players of Julie Saves the Eagles will learn critical thinking skills to solve the quests, understanding both sides of difficult issues like the need for natural resources and protecting the environment, and how to go about solving problems. Seek advice and persuade family, friends, and neighbors to help Julie reach her goals. Julie won't get far without the good will of others! Unlock beautiful new destinations on Julie's map by solving problems and completing tasks. Gather information, collect objects, and discover clues as you speak to characters and explore Julie's world. Need help? Just ask! If you're not sure what to do next, you can always turn to Julie's mom or her best friend, Ivy, for a hint. If you or your child are fans of adventure games and American Girl, this may be a great choice. Download the free version and give it a try! Not surprisingly, this American Girl release is strongly recommended to young girls, but will not likely be well received by members outside of that demographic. 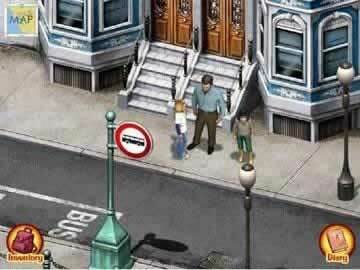 One of a series of American Girl games, Julie Saves the Eagles instills the values of conservation and animal friendliness while performing simple tasks around the city of San Fransisco. Chinatown and Golden Gate Park are among the famous locations you explore. Unfortunately, the physical space these areas include is limited which certainly detracts from the excitement of scouting the city. Mini-games can be re-played endlessly which allows for extra entertainment after the game has been beaten. However, these games themselves are not particularly creative or unique and can easily become monotonous to a more experienced crowd. Graphics are commendable and depict realistic movements and animations but are still blatantly in a cartoon-style format. Some minor errors in detail such as a street salesman describing his balloons as Blue Whales that are evidently Killer Whales may be a tad irritating to some players, but overall are not a huge detractors. The opening sequence provides little to no direction as to how to interact with your environment which is rather frustrating, but if you stick with it for five to ten minutes it becomes easy enough to learn how to progress. In fact, perhaps the biggest downside to this release is just how straightforward and simple the tasks really are to complete. Each new character with whom you converse tells you exactly what you must do and where you must go to do it, eliminating any real adventure. 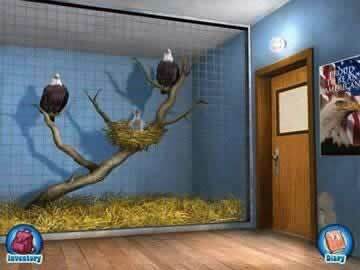 However, the environment-friendly message sent is commendable and the activities included will certainly be appealing to a younger, likely gender biased audience, and those who fall into that category will truly enjoy helping Julie Save the Eagles.